The Green Corridor is a ground breaking initiative for generating a green redevelopment of the International bridge corridor linking Canada to the United Sates in Windsor, Ontario, Canada. 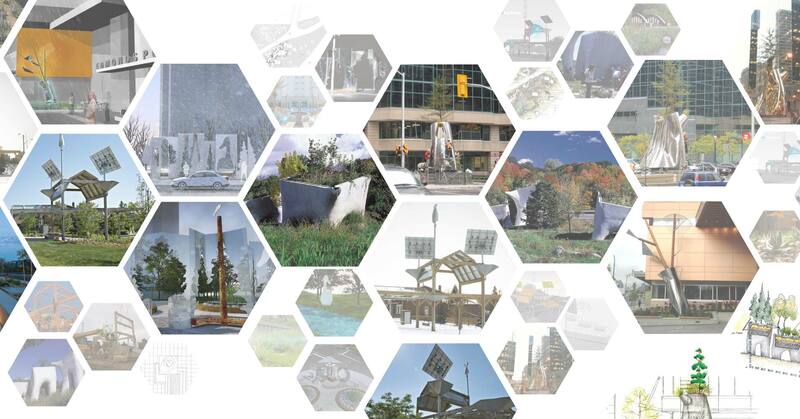 Green corridor aims to generate local, national and international focus by integrating Public Art, sustainable technologies, and scientific monitoring along the two kilometer multi-lane trade route. Traveling along its 2km length, visitors will experience a new conception of the urban landscape –shifting from a concrete jungle to a “regenerative green zone” where landscape ecology is celebrated. landLAB collaborated with the Green Corridors team on the conceptual design of an interpretive wetland located between The University of Windsor’s Sports Complex and the Assumption Catholic high school in Windsor, Ontario, Canada. The project will incorporate native habitat restoration, as well as interpretive outdoor classroom areas and boardwalks that will be linked to other green corridor projects including the adjacent “green bridge”. landLAB will work closely with the City of Windsor to link the project with the City’s bicycle master plan, as well as the University of Windsor proposed pedestrian spine. Artist Noel Harding and landLAB collaborated on an urban public art project for a mixed use residential/commercial project in downtown Calgary. Landscape River offers an image of Calgary refracted in landscape impositions and reflections. A mountain outline silvered in the sun toward an evening inner glow. A narrative instilled with mirroring vessels and containers that attenuate and embolden the stature of living trees. Held in the hill is a symbolic vessel remembering watering. It is a magnification of the plant in the window with a turning tree signifying the rise of the sun each morning. A river of people as ripples, a stream that stretches extending the site giving weather and seasons. A sequence of LED video screens and linked cameras located to establish “being there”. Events like this are given to commentary, the community talks, the community listens. The team was one of five teams short-listed for this project. A celebration of an intimate relationship with Nature. A vessel… a watering vase… inviting notions of nurture. The vase holds stems identifying the personal character of composing flowers or branches. The Mimico Creek project is a public art project in collaboration with artist Noel Harding in Toronto, Ontario, Canada. Artist Noel Harding and landLAB were selected as the winning team for a public art commission at 180 Kent Street in Ottawa, Ontario, Canada for the private developer Minto.
. A symbol of community resonance, the installation is identified and linked to it’s cultural ‘past’ thereby enabling community to evolve identity as the perceivable sense of having a ‘location’ of reference. Located on a trade route of significance, ‘Dawes Crossing’ is titled in a parallel evocation as integrating community enabling objectives. Neil Hadley collaborated with Artist Noel Harding on the “elevated wetlands” public art project in Toronto, Ontario, Canada.